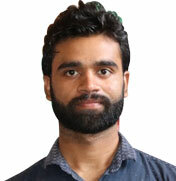 Manjeet joined LEAD in February 2018. He Joined LEAD as LEADer to work upon his passion and later on selected in LEAD PRAYANA Journey in 2018. He was inspired from this journey and really wanted to continue his learning with LEAD, so he decided to be a part of this and joined LEAD Program for full time. As a youth, he was much more excited to work with Youth in development of positive society and self. He looks with long-term vision while working in here. Mentoring college youths in Varanasi and Nearby districts. His passion and dedication brought him at a level full of confidence and ability to handle problems and solutions well.